Indoor composting is perfect when you don't have access to municipal green waste pick up, and the way to do it indoors is with those wriggly and delightful little creatures called earthworms. Compost is the missing link in today's waste management crisis but everyone, EVERYONE could do their part by removing food scraps and even most paper recycling from the waste stream! We can do it people!! Today's chat with Cathy Nesbitt, pro vermicomposter, magic soil producer and owner of Cathy's Crawly Composters, might be just the inspiration we all need to dig deep into the world of composting and start saving the planet, one bit of food scrap at a time! To check out Cathy's website and access a ton of composting resources visit: http://www.cathyscomposters.com/ Elaine Ingham's Soil Foodweb for creating healthy soil: https://www.soilfoodweb.com/ The Dirty Dozen, list of produce containing the highest levels of pesticides: https://www.longevitylive.com/live-better/2019-dirty-dozen-list-pesticides/ Documentary "And This is My Garden" trailer and website: https://www.youtube.com/watch?v=RS99UQRdqX0 http://andthisismygarden.com/ New episodes every Sunday! 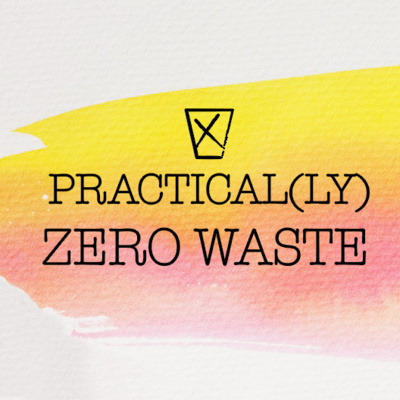 Remember to leave a rating or review on iTunes, Apple Podcasts and Google Podcasts, like us on Spotify, subscribe on YouTube, and follow me on Instagram @practicallyzerowastepod or @elsbethcallaghan If you have a question or an idea for the podcast, contact us at practicallyzerowaste@gmail.com. Even send us a voice memo with your questions and we'll include the best ones in coming episodes! Have a great week everyone! Ever feel like there's so much to be done for the planet and you don't know where to begin? Random Acts of Green might be your answer! Today's conversation with the founder Jessica Correa will get you started with some behaviour modification, habit formation, and all around eco-friendly ideas for making a difference on this planet every day! Download the Random Acts of Green app on the App Store or Google Play Get involved as a Random Acts of Green volunteer on: https://raog.ca/ @randomactsofgreen New episodes every Sunday, at some point. You can find the podcast on Apple Podcasts, Spotify, Google Podcasts, Anchor, Overcast and more. Contact us at practicallyzerowaste@gmail.com Instagram @practicallyzerowastepod and @elsbethcallaghan Facebook Practically Zero Waste Podcast Support the podcast at www.anchor.fm/practicallyzerowaste/support Have a great week! So recycling is not the answer we want it to be. Know what is the answer? A circular economy and reusable resources. Enter Loop Store, an off shoot of TerraCycle and the best answer I've heard in a long time for how to avoid single use trash! Listen to today's interview with Tony Rossi, Loop Store's VP of Business Development to learn all about Loop's launch and how to get involved! https://loopstore.com/ https://www.terracycle.ca/en-CA/ @loopstore_us New episodes every Sunday, at some point. You can find the podcast on Apple Podcasts, Spotify, Google Podcasts, Anchor, Overcast and more. Contact us at practicallyzerowaste@gmail.com Instagram @practicallyzerowastepod and @elsbethcallaghan Facebook Practically Zero Waste Podcast Support the podcast at www.anchor.fm/practicallyzerowaste/support Have a great week! Meera Jain, The Green Mum from Toronto Ontario joins me today. We talk all about low waste living in the big city, wish-cycling and low waste #momlife. Join the conversation by leaving a review on iTunes or comments on your podcast platform! Check out Meera: thegreenmum.net @thegreeenmum And some other awesome accounts to follow: @sustainablejungle @greenteachertess @reusablenation @yourecowaste @baremarket @zerowastecollective @exploringalternatives New episodes every Sunday, at some point. You can find the podcast on Apple Podcasts, Spotify, Google Podcasts, Anchor, Overcast and more. Contact us at practicallyzerowaste@gmail.com Instagram @practicallyzerowastepod and @elsbethcallaghan Facebook Practically Zero Waste Podcast Support the podcast at www.anchor.fm/practicallyzerowaste/support Have a great week!